Did you know that the text-to-speech command or functionality exists in Microsoft Excel 2013? This blog post will explain the text-speech command in excel and how the users can use it. 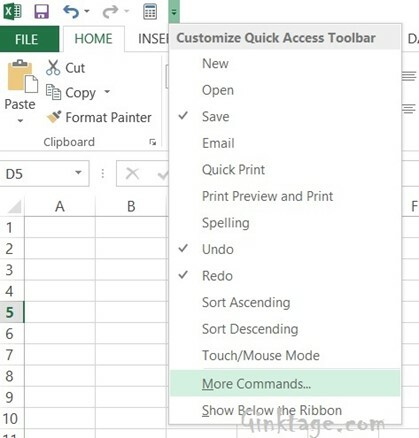 To use the text to speech feature, the Speak buttons has to be enabled in Excel. This is by default not shown in excel. Follow the below steps to enable it. 1. 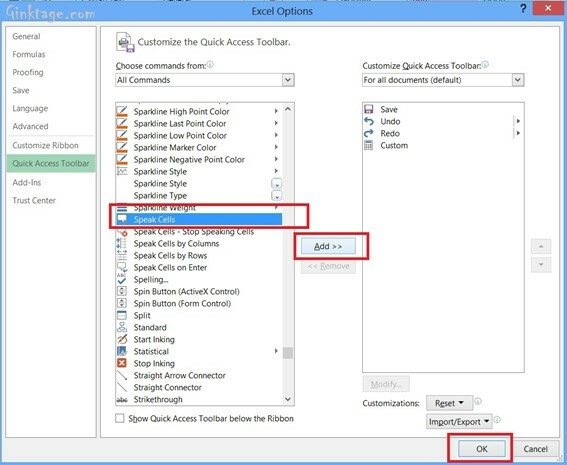 Click the “Quick Access Toolbar” and select “Customize Quick Access Toolbar” and then click more commands. 2. In the Customize the Quick Access Toolbar, select “All Commands” in the “Choose commands from” DropDownList. 3. Scroll down and then select “Speak Cells” command and click “Add” button and then click “OK” button. 4. This will add the speech icon in the “Quick Access Toolbar”. 5. Now, type a text in a cell, select the cell and click the speech icon. You should hear the system speaking the content of the selected cell. Thanks for sharing! If you need text to speech functionality, you can try Panopreter Plus ( http://www.panopreter.com ), it reads any text aloud and convert it to mp3, moreover, it offers text to speech add-in for both IE browser and Office Word.